Winter vegetables and fruits have a special attraction of the winter season. Most vegetables are available the whole year but the vegetables in winter are juicy and freshest, have a special taste and are difficult to resist to buy. I love to go to a vegetable market in all seasons but Indian winter vegetable market has a special attraction for me. The vegetable colors are so lovely that you just want to buy a lot and eat them too. Check out the winter foods recipes on this site. 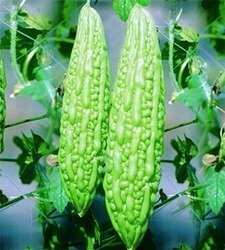 Indian names of these vegetables are given in bracket. 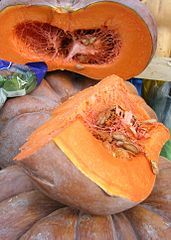 This wonderful orange or reddish orange root vegetable tops the vegetable list for winter. Carrots are sweet, juicy and crunchy, available and used the whole year in Indian homes. Carrots are used in halwa (gajar halwa), salads, carrot kosambri (salad), vegetable curry, vegetable rice preparation, carrot kheer, vegetable pickles and many other dishes. Carrots contain very little fat and are cholesterol free. 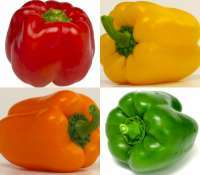 They contain dietary fiber, vitamin A and C, beta-carotenes, anti oxidants and minerals. They help in preventing cancers and tumors. Along with the green leaves, beetroot or beets are full of health. 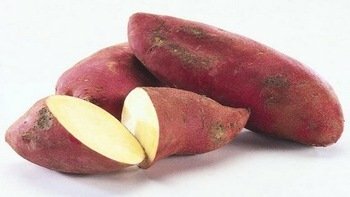 They reduce cholesterol in body and are useful in anti-aging. The leafy parts have vitamin C, A, B-complex. 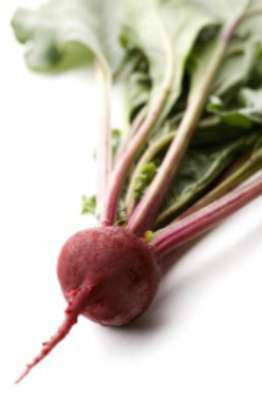 Beets contain carotenoids and flavonoid anti-oxidants, potassium. Beets are used to make beet salad, beetroot halwa, in rice preparation, vegetable cutlet etc. You can eat green peas raw or cooked. Have fresh peas by itself or add to other vegetables. Use them in salads, snacks; soups etc. peas contain minerals, vitamin K, B-complex, folic acid and ascorbic acid. 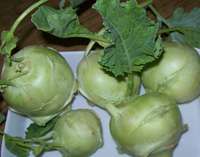 is available in white (daikon radish) and red radish varieties. 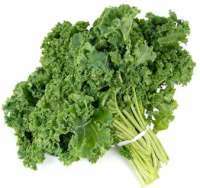 It is a low calorie vegetable containing vitamin C, B-6, minerals such as magnesium, copper, calcium and iron. 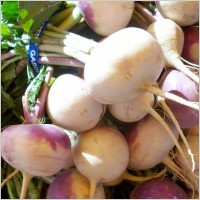 Radish, a root vegetable, is eaten raw in salads. You can also use tender radish leaves in salads and stews. Radish is also used cooked in parathas, subji(vegetable side dish), sambar(stew), raita etc. In north India, radish is made into 'mooli paratha', a delicious flat bread, or 'mooli subji' with greens, a stir fry or stew. It tastes great as 'radish sambar', a radish and lentil stew when served with plain rice. Cauliflower or phoolgobi has no cholesterol and is low in calories. It gives protection against cancer. It contains minerals such as potassium, calcium, magnesium and iron. It cooks fast so is very convenient when you are in a hurry. You can make it into 'gobi paratha', or 'gobi ki subji' for a meal time. You can also make it into gobi pakoda or gobi Manchurian for a snack. It goes well in rice dishes as gobi pulao or maharashtrian masala bhaat. Spinach / Palak a commonly used green leafy vegetable. It is a treasure of nutrients. 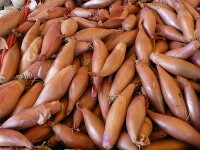 It is rich in vitamin A, C, K and omega-3 fatty acids. Care should be taken not to overcook spinach as over cooking can reduce it's nutritional value. Spinach can be combined in many preparations such as spinach soup, spinach rice, palak paratha, palak paneer, aloo palak etc. you can also add it to vegetable salads. - 'sarson ka saag' is a name of a curry in North India. The tender leaves of mustard plant are made into a green vegetable curry and are served with a 'makki ki roti' (flat bread made with corn meal). These leaves contain vitamin A, K and carotene and flavonoid anti-oxidants. 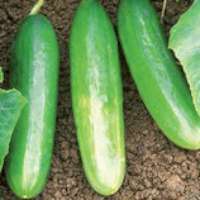 These help in reducing iron deficiency, anemia. Mustard green has very few calories. is a nutritionally rice leafy vegetable. It contains vitamins A, B, B3, E. it has potassium, protein, amino acids too. it helps in lactation and reduces menstrual pain. 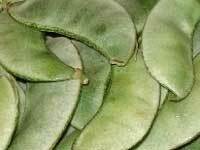 It is useful in treating reproductive problems and hormonal disorders. It reduces blood sugar levels and cholesterol. 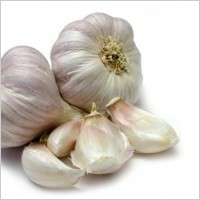 It is useful in treating bronchitis, arthritis, skin problems, asthma. It is a herbal remedy for increasing male potency and libido. Broccoli looks similar to cauliflower but is green in color. 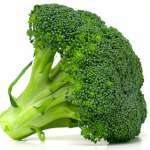 Broccoli helps in preventing cancer, heart disease, osteoporosis and stroke. It strengthens the immune system. Broccoli contains minerals, vitamins - A, K and C, anti-oxidants and dietary fiber. It has very few calories. Broccoli is good eaten raw or stir fried. Overcooking can destroy the nutrients. Those with thyroid problems should avoid broccoli. In other Indian languages it is known as chapparadavare, chikkadikai (Kannada), avari, mochai (Tamil), anumulu, chikkudu (Telugu), mochakotta (Malayalam), sem, ballar (Hindi), val (Gujarati), pavta, val (Marathi). The skin is removed and the beans (as shown below) are used. The skin is not edible by us. Skin can be used as cattle feed. - After removing skin Known as avarekai(Kannada). The beans after the outer skins removed are used in snacks, curries, rice dishes etc. Tomatoes are known as tomato, tamatar, takkali etc. in Indian languages. Tomatoes are available the whole year in India. In winter, tomatoes are abundant and are cheaper too. Okra is known English as gumbo and lady's finger too. 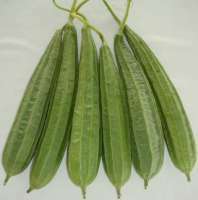 It is bhindi (Hindi), bhendi (Marathi), bendekai(Kannada), vendekkai(Tamil) etc. in Indian languages. Okra is rich in vitamin A, B6, C thiamine, iron, calcium, zinc, potassium, magnesium, and manganese. It is a rich source of dietary fibres and antioxidants. 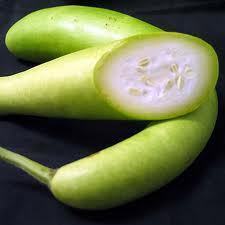 It helps in preventing diabetes, asthma, cataract, constipation, gas and stomach bloating. 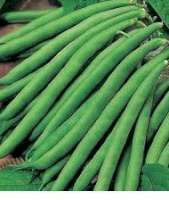 Lady’s finger helps in controlling cholesterol and stabilizing blood sugar. 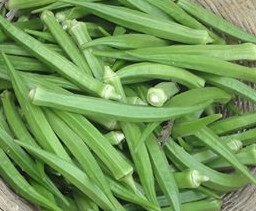 Okra or bhindi is made into curry, stir fried, crispi okra and okra raita.